It’s a frightening world out there on the ranked ladder right now. Everywhere you turn has a new threat – some Fire 1-drops backed up by burn spells, an army of 1/1s backed up by Xenan Obelisks and Shimmerpacks, an armory of Relic Weapons with Harsh Rule, and more! When the threats are this varied and the answers required are so different, sometimes it’s time to get your beatdown on. The version of Combrei aggro, sometimes called “Combraegis,” is lower to the ground than MoistVL’s deck that occupies the Stock list spot for Combrei Aggro. Crownwatch Paladin, Vodakhan’s Staff, and Copperhall Elite hit faster and are more resilient to removal than the more defensive version with Temple Scribes, Combrei Healers, and Xenan Obelisks. This version is still quite strong against Stonescar Burn, as getting under them and presenting difficult to remove threats with Aegis usually wins the race for you. The trade-off is that it is weaker against bigger midrange decks, such as Elysian midrange and Combrei Midrange with Marshall Ironthron, Mystic Ascendant, or more Xenan Obelisk. With the nerf to Gilded Glaive when Eternal transitioned into Open Beta, Combrei aggro had to change. There are no longer enough powerful weapons for Silverwing Familiar to be a reliable threat, so it had to go. I played Paladin Oathbook for a while alongside Inspire as a way to help with unit sizing, but too often I would have multiple large units with favorable attacks and would be unable to benefit from the Oathbook’s boost. A single Xenan Obelisk took its place, and I maxed out on Vanquish to clear the way for my somewhat smaller units when the opponent presents a good blocker. Combrei aggro is based on the Combrei core of absurdly powerful units across the curve – Desert Marshall, Siraf, Valkyrie Enforcer, and Sandstorm Titan. These units form the backbone of any Time /Justice deck and are irreplaceable. To facilitate a more proactive plan, these are supplemented with more cheap, aggressive units and support spells: Awakened Student, Crownwatch Paladin, Stand Together, and Vodakhan’s Staff. This allows you to maintain some of the grinding power of traditional Combrei with Siraf activations and silences on key targets while picking up some free wins with silly Crownwatch Paladin + Vodakhan’s Staff openings. Initiate of the Sand is the best turn 1 play available when you have powerful 3- and 4-drops to curve into ahead of schedule. A turn 3 Sandstorm Titan is no joke – commence dududududus. Teleport is a cheap and versatile fast spell that can mess up an opponent’s double block, save a unit from removal or Permafrost, or undo an opponent’s turn by bouncing an expensive unit. It is also somewhat disguised by the more common Desert Marshall and Stand Together when you hold up power on the opponent’s turn. Slow is a somewhat odd inclusion, but it is actually very powerful in many situations. If you are working to end the game quickly, doubling a card’s cost might as well be discarding it. An opponent holding a Scorpion Wasp will never get the opportunity to ambush you if you Slow prior to combat. A key Harsh Rule suddenly costing 10 probably won’t be cast before the opponent dies. Mostly, though, I only had 49 non-power cards I wanted to play, and this deck doesn’t need any more power with 4 Initiate of the Sands, 4 Inspire, and a curve topping out at 4. Combrei aggro is built to beat up on unwieldy decks like the current boogeyman. Stonescar Burn is a fundamentally clunky deck, with many 5-drops that don’t have a huge board impact, no card advantage and almost exclusively cards that can only be played on its own turn. Aggro decks can get underneath it and win the game before it can bring all of its burn to bear, and burn is relatively ineffective against units with aegis. To add insult to injury, Combrei’s 8 cheap silence effects wreak havoc on Stonescar’s expensive units like Umbren Reaper and Soulfire Drake. Teleport also makes Stonescar basically skip their turn when used on a 4 or 5 drop unit, and all the while you’re beating down with Awakened Students and Crownwatch paladins. When you are low on health, it is important to hold up Desert Marshall for potential charging Soulfire Drakes or ambushing Cabal Countesses, as 5 or 6 surprise damage could be your undoing. When in doubt, though, go for the kill. If you give Stonescar enough time they can easily draw enough burn to kill you from 20 health over several turn, so narrow their window to draw that burn and go fast. If you are having trouble with Stonescar, Combrei Healer is your best bet. It says Shimmerpack, but really the advice applies to all go-wide Xenan Obelisk decks: attack them hard and fast. These decks will completely overwhelm you in the late game with 8 power Xenan Obelisk or Shimmerpack upgrading all of their units and downgrading yours, so you need to end it quickly. Their only interaction is Scorpion Wasp and chump blocking, so you can play fearlessly and use Teleport and Stand Together to rbeak up any multi-blocks. Since they have so many chumpers, it is important to put Vodakhan’s Staff on a unit with overwhelm to push through damage, so wait a turn and put it on Siraf or Copperhall Elite instead of Crownwatch Paladin. It also helps to go wide, as even though the Shimmerpack deck will have MORE units, all of yours will be bigger, so their opportunities to block profitably will be lessened. The key cards being reactive (Scorpion Wasp) or expensive (Xenan Obelisk, Shimmerpack) means that Slow is extremely powerful here, and if Shimmerpack gets more popular Slow will be good at 3 or 4 copies. The semi-mirror against Xenan Obelisk aggro or Combrei Midrange are both bigger decks than you, so you need to get a bit lucky to win. Often, you will both match each blow-for-blow in the early game, and then in the late game you will fall behind against 6/7 Sandstorm Titans or Harsh Rules while you draw 4-cost 4/4s and 2-cost 2/2s that can’t profitably attack. If it gets to that point, you must save your silences for their Sirafs while building towards 8 power so you can start activating your own Siraf. If you don’t get a quick win, a board stall is inevitable, so you have to play around your opponent’s way of breaking a board stall, which differs between the two Combrei varieties. The aggro build will look to land a couple Xenan Obelisks, get to 8 power, and clobber you with oversized monsters. To prevent this, you need to actively trade units before the double pump from 8 power Xenan Obelisks kicks in. The midrange control build will try to stall long enough to get a Marshall Ironthorn ultimate activation for an instant win (barring Stand Together) or a couple Harsh Rules to mop up your second wave of units after the first one. After they destroy your whole board their own Siraf or Mystic Ascendant will look to cruise to victory. In this case, you should play out only 1 Siraf at a time and hold them as long as possible. Your chance of riding a Siraf to a late game victory are slim, so try to suit up a big unit with a Vodakhan’s Staff and win before the board gets too clogged. You need to attack even into double blocks so that you can trade units and prevent the board stall the opponent is playing for. These control decks are heavily reliant on board sweepers, which you are well suited to play around. Aegis is obviously great against removal spells, letting you play freely to the board without fear of a sweeper, but most of your units are also sufficiently threatening on their own to require removal. You can easily play only 2 units at a time while sandbagging more threats in your hand and force removal. If you have Stand Together to protect 3 units from Harsh Rule or Withering Witch the game usually ends on the spot. The dance comes into play if our opponent does successfully wipe the board of your early threats. Against Icaria Blue, you always want to keep two units out or a Desert Marshall in hand so your opponent can never get a two-for-1 with a relic weapon. The Marshall also protects your crucial Aegis units from dying to one weapon. Against Feln Control, Aegis is more back-breaking, but it is also easier for your opponent to pop multiple aegises at once with Withering Witch, Lightning Storm, or Plague. You don’t want to waste your best tool, so don’t play out all of your Copperhall Elites and Crownwatch Paladins at the same time. An important thing to keep track of against control decks is how much power they will have on their next turn and what the most frightening thing they can do with it is. If they are coming up on 5, don’t play a non-aegis unit into Harsh Rule/Withering Witch. If they will have 8 and could play a removal spell into a sweeper or a Sword of the Sky King, hold Stand Together or Desert Marshall up as appropriate. Imagine the worst thing you can expect, and then minimize its effectiveness. Combrei Aggro is a powerful option in a world dominated by Stonescar and Shimmerpack. As long as time-based midrange decks remain under-represented, you will get a lot of free wins with undercosted, oversized Combrei units with many abilities. It’s hard to get more bang for your buck anywhere in the 2-4 curve. Until next time, may your Sandstorm Titans go unanswered. 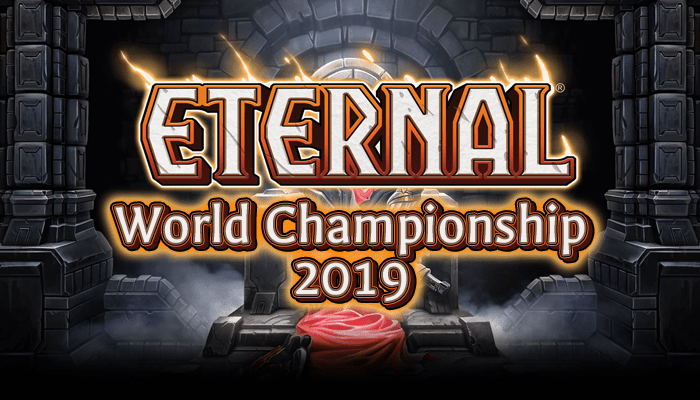 This website has helped me so much at Eternal, thank you all for your work. I really enjoy the articles you guys write. As for Combrei, I was sad to see the ironthorn/ascendant/harsh rule Combrei decks phase out, but I don’t want to play stonescar or shimmerpack, so I built a Combrei aggro. I experimented with splashing primal for 4 lightning storm, fantastic against shimmerpack and ok against stonescar, and 2 permafrost for stonescar and rakano. I had all of the similar units as in this decklist. I didn’t plat initiate, staff, inspire, or teleport. I feel like this version is better, because it was difficult to get enough force into play with 4 wasp and 4 healer. I like this list more, because it is a lot more dedicated. I am skeptical of teleport and staff, but I will try this version, probably playing a wasp or two unless staff overperforms. I too am sad that the more controlling Combrei decks have taken such a hit. I was a big fun, but Im sure they will rise to the top again some day. I have seen many versions of “Combreilysian” (TPJ) that are successful to varying degrees. They are certainly worth considering. Im personally a big fan of LightsOutAce’s build, though as I enjoy really getting out ahead of many decks from Initiate, but there are like 3-5 different ways to build this deck (more Obelisks, more flyers, more equipment, more 1 drops or more factions) so find the one that is right for you and your meta game! So for some reason my comment wasn’t permitted to post, I assume because I included imgur links showing my record. Will not bother to write long thoughtful posts again. Sorry to hear that. Glade you liked the deck tho! I guess tl;dr thanks for the deck. If you don’t mind, could you explain why Slow was designed to double a card’s cost rather than adding a fixed value, like 3? Was the goal mainly to heavily punish expensive cards? Because it seems that is the primary effect- if you have a 1 or 2 cost card, it doesn’t do nearly as much as a 5 cost card becoming pretty much discarded due to being 10 mana. Hitting 4/5/6 mana on curve to play bigs is already uncertain card games like this, so adding a flat 3 mana is probably sufficient to have a big tempo impact on them. I would expect a card like Slow to have a decent impact on cheap, 1-2 mana cards, and I think that seems like it maaay be a more interesting design to me. Then again, perhaps that would make Slow more ubiquitous, or you felt that tempo decks already have enough answers to them? Is it because multiple slows on turn 1/2 would be too silly against all but the most low to the ground decks? To be honest, I’d mostly just get excited at the concept of taking a breakneck tempo card like Delver of Secrets or a cheap removal spell and making them expensive. But I can understand why it may not be designed that way. Played around 20~ games with this deck. Still feels like a less than 50% matchup against stonescar. Sure, if they’re off curve you’ll probably win but the same goes for you. Their general power level is still better. You play most of the game scambling to make good trades while they chip away at your health and then get in there for lethal with burn. Let’s call a duck a duck – Stonescar is currently very overtuned and needs to be taken down a peg. We are not the game designers so any comment on why Slow is what it is would be speculative. My best guess is that it is designed to specifically interrupt bigger midrange decks and control decks playing cards like harsh rule, while being ineffective against aggro. I would also disagree on the Stonescar Burn MU assessment. I too have played the deck a lot, and found the MU to be close, but positive. I find the key is to be very aggressive. Im currently in the top 10 of master off something like a 25-4 record with a list very close to this deck. Well I very much so respect your opinion and writing, so I’ll give it more games and see if it turns around for me. If you are interested in teching a bit for that specific MU try finding room for protect, and make sure you focus on keeping hands that allow you to be aggressive. You are the beat down. Nice job! Good to hear it is at least heavily favored in the “Jank” match up Kappa. Always happy to help people reach their goals. Scream is a total joke against this deck.